In the late 1990’s, LEGO had seen better days. Sales were not what they had once been, and the company was struggling to make a profit. The generic LEGO sets no longer seemed to appeal to kids like they once did. Something needed to change if LEGO would live to see the new millennium. The 1980s had seen several successful lines of toys that combined toys and storylines to create a universe for children to play. Transformers and G.I. Joe was not just action figures; they were characters in their TV shows! LEGO decided to copy that success and create their line of toys with a storyline. Their first attempt with Star Wars was successful, but the royalty payments to Lucasfilm made them unprofitable. 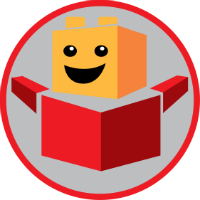 LEGO then turned inward to create their own, original characters. A few ideas came up for products, and some of them made it into production like Slizer/Throwbot and RoboRiders. They did not last long, though, and were discontinued after a year or so. Their use of TECHNIC pieces, including the new ball-and-socket joints, would be carried over to their next product. BIONICLE was first developed under the title of “Bone-Heads of Voodoo Island,” and the premise seemed to be the same as what it became. A major difference, though, is that it was only supposed to last a year before ending. Luckily, the development team saw the huge potential in this line of toys and got LEGO to extend the line. The name was also changed to BIONICLE, a portmanteau of “Bio-logical Chron-icle,” and the story was drawn up. The BIONICLE story would take place on the fictional island of Mata Nui, a place inhabited by biomechanical people and animals. The people worshipped their god and the island’s namesake, Mata Nui. 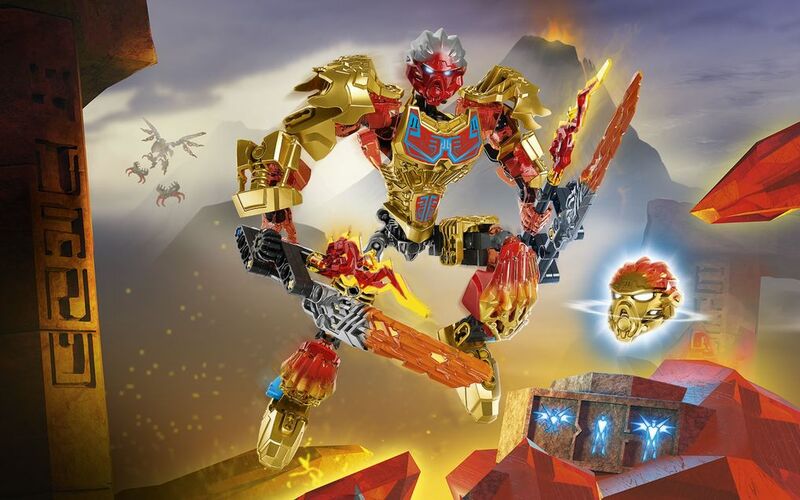 Then Mata Nui’s evil brother, Makuta, placed him in a deep slumber and turning the beasts of the island against its people. Then, six heroes, the Toa, would appear. Wielding masks possessing amazing powers and command over the elements, it was the Toa’s destiny to defeat this evil and awaken Mata Nui. Six heroes, one destiny- BIONICLE. Releasing in 2001, the BIONICLE story became an overnight success for LEGO. Kids everywhere fell in love with the storyline behind the toys and their fight of good vs. evil. Their popularity got even bigger thanks to LEGO’s marketing campaign. BIONICLE was not just a line of toys: it was an entire universe filled with its unique people and animals. In addition, LEGO made sure to build upon the BIONICLE story. The company created a multi-media franchise to build up its new world. Through video games, comic books, commercials, movies, and even McDonald’s toys, they brought the world of BIONICLE to life. Some LEGO traditionalists had concerns that their action figure status would inhibit the freedom of creativity that was a part of LEGO. Their fears were unfounded: no matter how advanced they were, they were still LEGO sets. People could always take the action figures apart and use them to create their characters. LEGO encouraged this, even holding contests where fan creations could become part of the official story. Altogether, BIONICLE was a goldmine for LEGO, and it stayed that way for much of its run; but nothing lasts forever. With each passing year, the BIONICLE story continued to grow and take fans to new places. New toys would be released and with them new heroes and villains. The story soon left Mata Nui behind for new locations: a futuristic island city with its own Toa, a savage island hiding a great power, and even the bottom of the sea were explored. After seven years, the original Toa fulfilled their destiny and awoke Mata Nui. This was not the end, though. In 2009, BIONICLE shifted to a new world that had ties to the old universe. Bara Magna, a harsh desert world where people struggled to survive. Mata Nui, the god of the old universe, ended up here after being awoken, exiled by Makuta. Maybe LEGO thought this would lead to years of new adventures, but this new setting backfired. Eight years of stories, toys and movies had taken their toll on the franchise. The continuity had become bloated by its continued expansion and adding new characters. The brand started to lose money instead of making it. So, in 2010, LEGO released the final line of toys and wrapped the story up in the comics, bringing BIONICLE to an end. In 2015, LEGO decided to give the line a reboot for the new generation of kids. The reboot would take BIONICLE back to its roots, revolving around a single island and six heroes. The story was not quite like the original, though. It carried over elements from the first generation like the masks of power, the Toa, and the evil Makuta, but many things changed. In this version, the island was named Okoto rather than Mata Nui. For that matter, Mata Nui had his name changed to Ekimu, while Makuta kept his name. Unlike their Gen 1 counterparts, these two were mask makers, forging masks for the people of Okoto. These masks, though, did not give extra powers like super speed, x-ray vision, or stuff like that. Like in the original, Makuta grew jealous of how much the islanders loved Ekimu (Mata Nui) and his creations. He forged a mask that wielded all the elements as one, but it corrupted him and made him evil. Then history repeats itself, only this time both brothers fall into slumber. In Ekimu’s absence, monsters called the Skull Spiders begin to ravage Okoto until the six Toa arrive on the island. Their goal is to find the masks of power forged by Ekimu, awaken Ekimu, and save the island. This iteration of BIONICLE lasted only two years in comparison to the original, as it was canceled in 2016. A notable difference between the two generations is that the 2015 half of the story did lead to the awakening of Ekimu. Ironically, this falls more in line with LEGO’s original plan for BIONICLE to awaken Mata Nui at the end of its first year. The Toa had received a modernization from LEGO, as well. In physical appearance, they were different from their original counterparts. Gone were the movable gears of the early BIONICLE models, in favor of bright and colorful armor. They did keep the same detachable and movable body parts, though. In the end, the new BIONICLE story must not have have been as profitable as LEGO had hoped, as they ended the story in two years. Makuta gets beaten and trapped within another dimension, and the Toa return to the heavens, their job done. Thus, BIONICLE returns to history. Though it seems like it’s done, for now, least, BIONICLE remains an essential part of LEGO. It saved LEGO in one of its darkest hours and gave an entire generation of kids a line of toys that hadn’t been seen since the 80s. It’s been years since the original line ended, but the toys are still remembered with fondness by the people who grew up with them. Will they make their triumphant return one day? Or is BIONICLE history? Anything is possible. Until that day, though, BIONICLE sleeps the sleep of ages, waiting for the day when LEGO may call on it once more. Releasing in 2001, the BIONICLE story became an overnight success for LEGO. See the full history, including the origins, success, fall and the reboot.